During summer 2018 the photographer Johan Bävman's world renowned collection Swedish Dad´s was shown in Skarhult's newly opened exhibition venue. "Swedish Dads" was on display at Skarhult 19th of May - 14th of October 2018. Sweden has one of the world's most generous parental leave insurances. 480 days payed. 90 days is supposed to be used by the father. Despite this, only a fraction of the country's dads choose to use it. 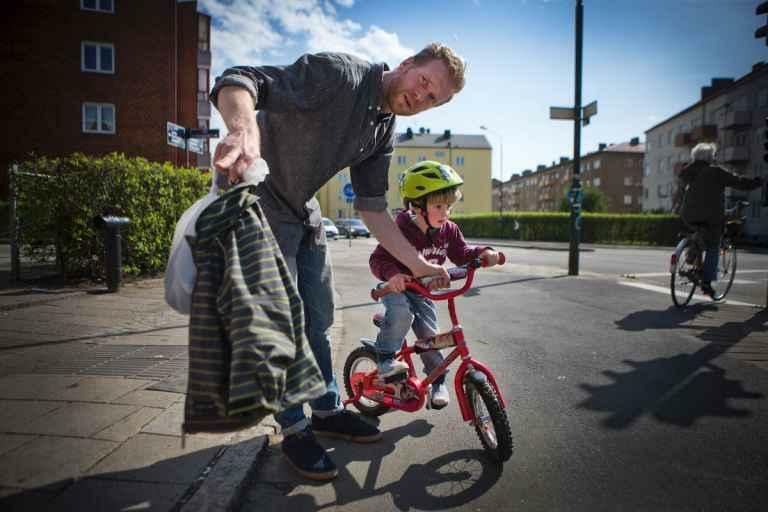 Swedish Dads is based on 45 portraits on dads on parental leave who chose to stay at home with their children for at least six months. 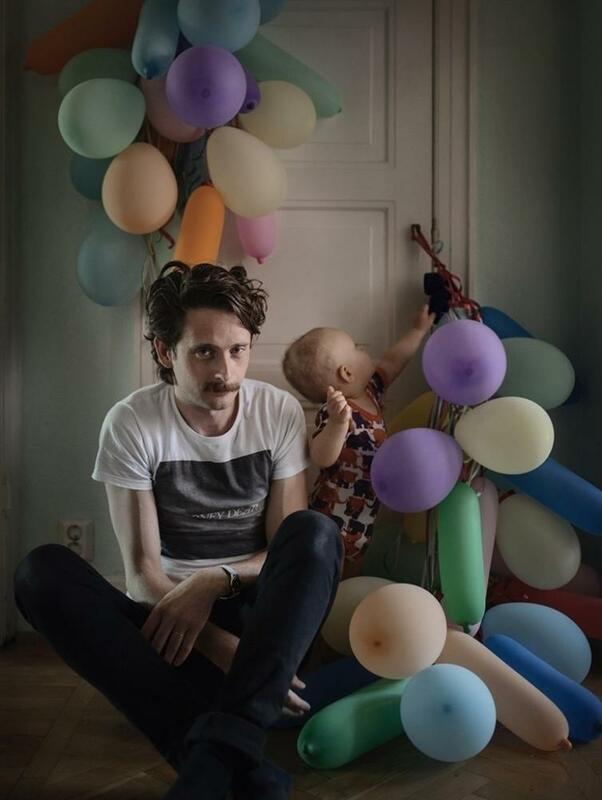 The photographer Johan Bävman investigates why they have chosen to stay home so much longer with their children than the majority of Sweden's dads. What has it given them, how has their relationship with both their partner and their children changed? Johan Bävman: We raise and applaud the fraction of men who choose to stay home with their children. Mothers on leave - we take them for granted. Why is it like that? With photos and interviews, I want to focus on these fathers who chose to prioritize the connection to their children and their family before their jobs and careers. By reading and seeing other dads sharing the same thoughts and thoughts about parenting, maybe more people start thinking about their fatherhood and role as a partner. I think that's an important piece in the direction of a more equal society. " The exhibition and the Swedish model have attracted great interest around the world. Swedish Dads has now been exhibited in 25 countries, including Armenia, Brazil, Chile, France, Indonesia, Iran, Israel, Japan, China, Lithuania, Mozambique, Myanmar, Romania, Thailand, Tunisia, Turkey, Uganda, USA, Vietnam and Zimbabwe, Albania. The exhibition will shortly be shown in 14 additional countries. The photografer Johan Bävman himself. 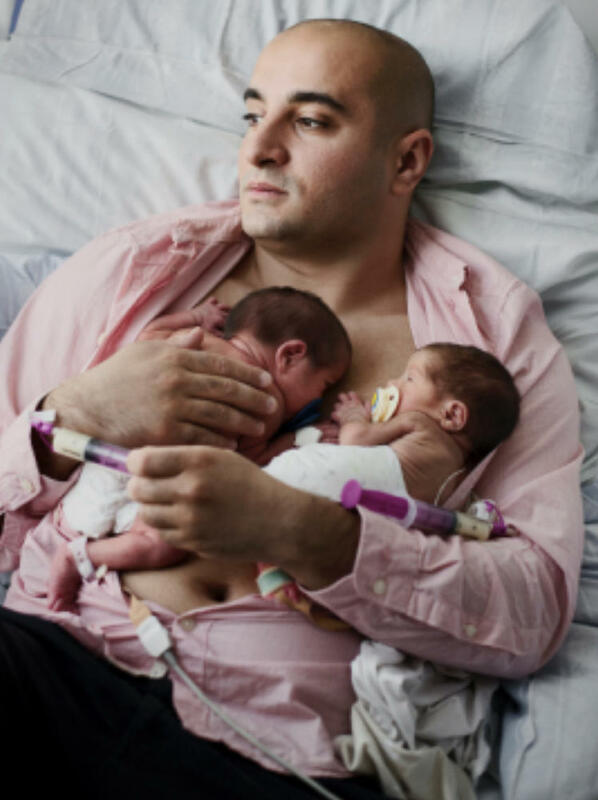 The exhibition "Swedish Dads" was shown in a newly opened space at Skarhult between the 19th of May and the 14th of October 2018. The exhibition was a part of Skarhult's project "You go boy!" during summer 2018.